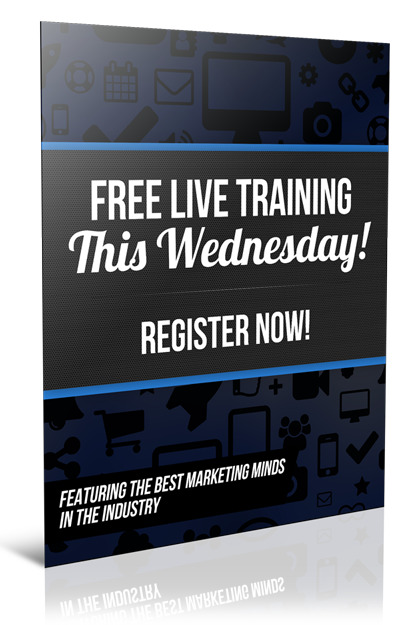 Watch the “retargeting ads” video and learn how to add Facebook audience pixels to your websites today. This is the hottest (and legally) way follow your best prospects all over the internet until engage with your content! Pay attention the next time you are on Facebook, click on an ad and then watch how that ad follows you all over the internet. How to create the Click 1 button to create a custom audience pixel. This will follow your prospects everywhere until they BUY. It's awesome! My simple 2-step process to place pixels on all your websites, and build a BIG virtual list of customers (no techie stuff here). How to ‘re-target' prospects who never actually give you their e-mail addresses to get more leads & make more sales (amazon's BIG marketing secret). Success leaves clues. Around the two minute mark, you will see a screenshot of a client's retargeting ads account who's made over $100 Million in online sales with a less than 1% conversion rate, then see how retargeting tripled his business. Retargeting, also known as remarketing. This is a form of online advertising that can help you keep your brand, content, and offers in front people who visited your website and then left without performing an engagement activity you are recording like subscribing to a newsletter, visiting a particular webpage or purchasing a product. How Do Pixel Retargeting Ads Work? Retargeting is so incredibly effective because it focuses your advertising spend on people who have already expressed an interest in the information you are sharing, the brand you are building, the topics you are training on and the products and services you are promoting. Most online marketers who take the time to optimize and run pixel retargeting ads often see a higher ROI than from most other forms of direct response advertising provide so it most definitely is something to dig deeper into. 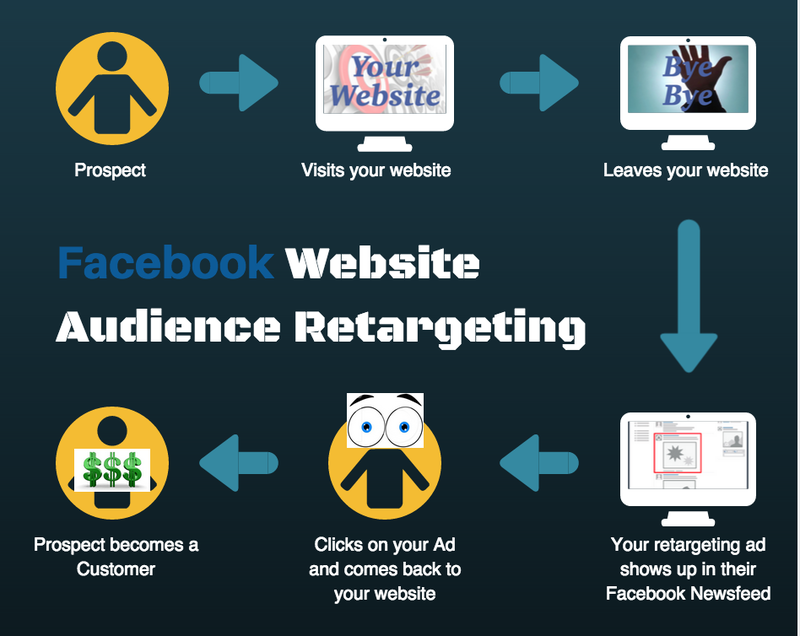 Facebook Website Audience Retargeting 101 – What is Website Audience Retargeting? How does it work? And why is it important to your business. This first module gives you a high-level overview of retargeting and prepares you for the lessons to come. Getting Things Set Up – This is where I help you get set up. First, we walk through getting your Facebook tracking code. Then I show you a couple of ways that you can install it on your website (depending on your needs). In the 3rd lesson of this module, I show you how to confirm that everything is working correctly. Once everything is good to go I show you a cool tool that will allow you to spy on your competition to see if they are set up for audience retargeting on Facebook. Website Audience – Overview Setup and Management – This the where I explain the 7 audience segment “bucket” types and how to use them. Next, we'll take a tour of a variety of websites on the internet in different markets. I going to show you how the bucket types apply to these different pages of the sites. Now it's time to do a complete walk-thru of the Facebook Audience Manager. Next, we discuss how to use the audience rules to map out segments for your website. And finally, we dig and I show you how to create all of the 7 audience segment “bucket” types in the Facebook Audience Manager for your website. Audience Pixel Management for Multiple Websites – Curious what to do if you have multiple websites that you want to retarget? In this module I show you how to know if you need a Facebook Business account, and if so; how to create one and add additional ad accounts for your websites. Creating Lookalike Audiences – This is where you get Facebook to do the heavy lifting for you. Once your website audience has at least 100 visitors to your website, Facebook will find other Facebook Users that closely resemble your audience. This means that you can begin to seek out brand new visitors to your website. Audience Insights – Facebook Audience Insights: Did you know that Facebook can provide you with all kind of marketing data on the people that visit your website? We should you have to navigate the Facebook Audience Insights tool. Targeting Your Website Audience With Facebook Ads – Here is where we put the entire course together and show you exactly how to target all of the audience segments of your website with creative ads on Facebook. You will see eight examples of how you can apply and strategies to all of the audience segment types covered in Module #3.